How can you raise a curious toddler? Curiosity is the strong desire to know or learn something. Toddlers love to explore, create, discover, and connect. Although curiosity is something most babies are born with, as parents the way that we structure our child's environment and the opportunities we provide, can nurture that curiosity and help it to grow. Curious kids turn into lifelong learners. Some psychologists view curiosity "as a life force, vital to happiness, intellectual growth, and well-being." I agree! As we've nurtured curiosity in our home, our kids have developed new interests/talents and have become more passionate about learning. Today we've partnered with Baby Einstein™ to share 5 tips for nurturing toddler curiosity. Like Baby Einstein™, we believe that the world needs more curiosity and we encourage parents to cultivate curiosity through experiences of shared discovery and creativity. These five tips for nurturing toddler curiosity are simple, but important. 1. Provide opportunities for open-ended creativity! Giving kids the opportunity to create is so important. There are so many ways to create, and a variety of materials parents can offer in their homes or schools for little ones. Open-ended creativity means that the project is process centered and we don't worry about the end result. We are creating just to create and enjoy the process together! At our house, we keep materials like dot markers, paper, blocks, and chalk in accessible places where kids can get them out and create. Scissors and anything destructive is kept up high or away in cupboards! We also try and embed time into every day where we aren't running errands or doing structured activities so that kids can just play and create. As a busy mom of four kids, this is hard sometimes! Sometimes I will build or paint alongside my toddler, but I don't direct the play or art and I just observe and connect with her in social ways. Curious kids also need to learn how to explore independently, but having an adult to check in with from time to time and encourage and model creativity is important as well! 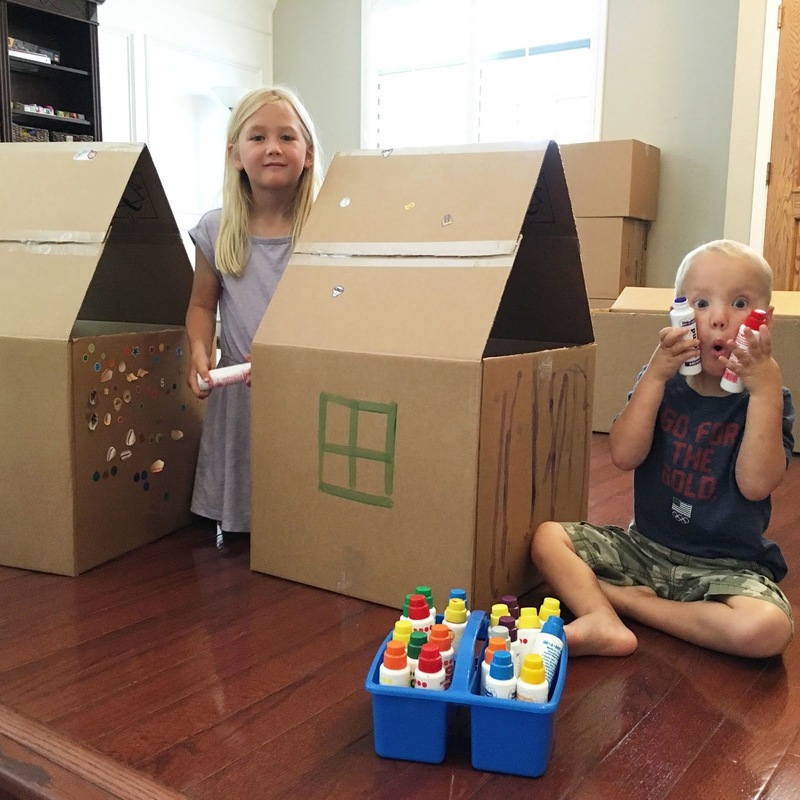 Cardboard boxes are one of our favorite things to use for creating! They are cheap and can be used in dozens of ways. 2. Create an environment that fosters curiosity! Your home is where your kids spend the most time so it is an important part of nurturing curiosity! Just like we are careful with the media we allow in our home, we are also careful with the types of toys we invite into our home. Having too many toys and lots of toy clutter makes it hard for kids to use the materials that they have and can be distracting from their play. We try and make sure all toys and books have a place and use a toy rotation system to keep things clutter-free. Our system is always a work in progress! Some toys are placed on shelves in our play area while others are stored in our garage. We change the toys and books every few months to keep things tidy and help kids focus on the toys they do have. In my opinion, the quality of toys in home is more important than the quantity. After seeing the same toys and books daily, kids sometimes stop noticing them. 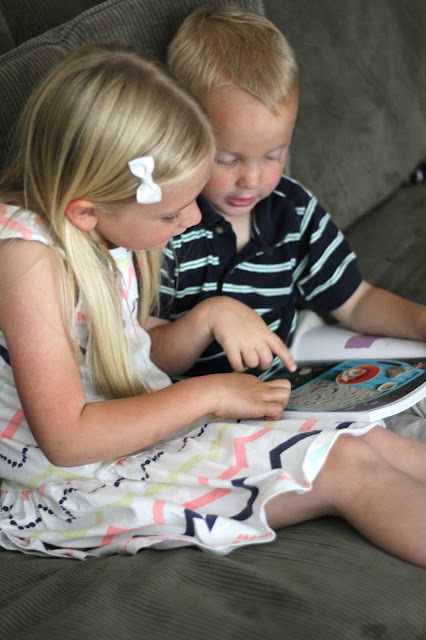 When you rotate new books and toys into the house or around the house, curiosity is piqued and kids can focus on the new items in more detail. Toys like our Baby Einstein Innovation Station™ Activity Cube that several kids can play with at a time are ones we like to keep out in a common area and move around the house throughout the year. Kids can push and pull the animation sliders, turn the bold-patterned gears, and have fun with the gravity-defying ball race. Reading together daily, answering questions, and modeling how to be curious and ask questions can also nurture kid's curiosity! If kids are constantly asking questions and we ignore them and don't provide resources where they can find their answers, they eventually stop asking them! 3. Explore the world- near and far! We love to be out in our community at the library, parks, and on the hiking trails. With each season, and even changes in weather, there is something new to discover. We also love taking our kids on day trips and family traveling adventures. Traveling to new places helps kids see things they never would've known about and prompts new questions and interests. After a recent trip to Hawaii where we went snorkeling and paddle boarding, my toddler is now even more obsessed with ocean animals. This has led to exploring new books and trips to our local aquarium and has helped her learn the names of a variety of animals and items she never would've known about otherwise! Kids can ask a lot of questions! Encourage them! Try to be patient and answer them. With older kids, I often have them write down their questions so that we can space them out a bit and make time to research them. With younger kids, I try and embed time into each day to answer their questions. Sometimes that requires us to slow down and not rush around as much... but instead take time for discovery and observation. Teaching kids to use books, internet searches, and talk to experts to help answer their questions can also be helpful as they grow. Trying new foods, new classes, new parks, or even exploring new toys, can help nurture curiosity. Finding opportunities to make new friends can also help kids explore new experiences. I love to try and get all five senses involved as we explore new things and experiences. Sensory bins using different materials is one simple way to try new things. One day we'll use dried beans and then next day we might use kinetic sand or shaving cream. Exploring goop and adding things like ice or different colors or toys into it can change it into a completely different experience for toddlers. 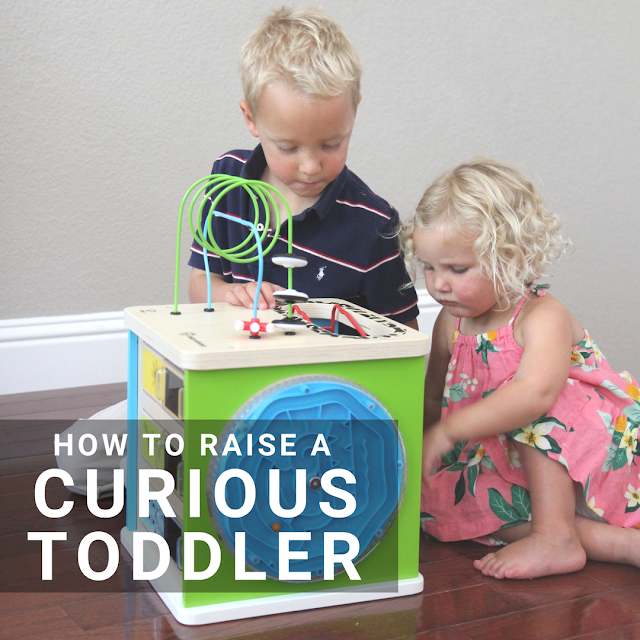 There are so many ways to nurture the innate curiosity in toddlers. 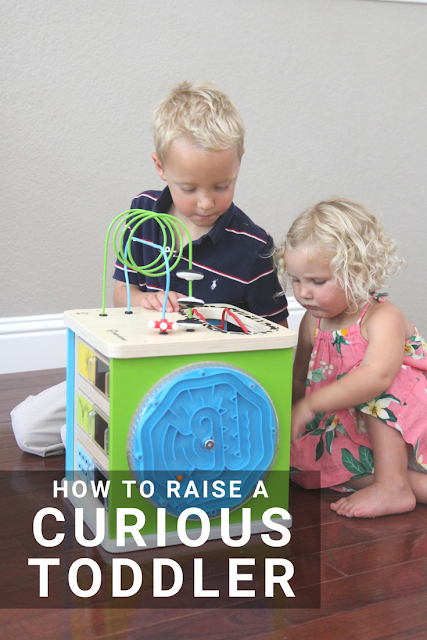 Do you have any other ways that you nurture curiosity in your child? Have you tried any of the five tips that I shared? Follow Baby Einstein™ on their website, Instagram, Facebook, Twitter, and Pinterest for more ways and resources to use to cultivate curiosity.